I am constantly trying to create the perfect eyebrows - full brows with a natural look. That being said, I think I may have finally found the perfect tools for doing so. If you're looking to get that coveted full but natural brow look, you need to check out the NUDESTIX Eyebrow Stylus ($28) and the accompanying Brow Wax ($28). I think it’s important to mention that I’ve used these products both when I was in desperate need of getting my eyebrows cleaned up (full on gorilla brows) and right after having a professional work her magic – I loved using these products throughout that whole time frame. The Eyebrow Stylus has a creamy pencil on one end and a brow gel on the other – gotta love a two-in-one product! The fairly small size of the Stylus and its angled edge makes it quite easy to draw short and thin, hair-like strokes. The recommended instructions from NUDESTIX (which are included in the tin and are actually quite good) say to use the flat edge of the Stylus Pencil to draw along the lower length of your brows and then use the pointed end do draw short, upwards strokes throughout the rest of the brows. Of course, everyone’s eyebrows are different so portions of this may be more or less important for you. Your pencil work can be sealed with the brow gel on the other end of the Stylus. 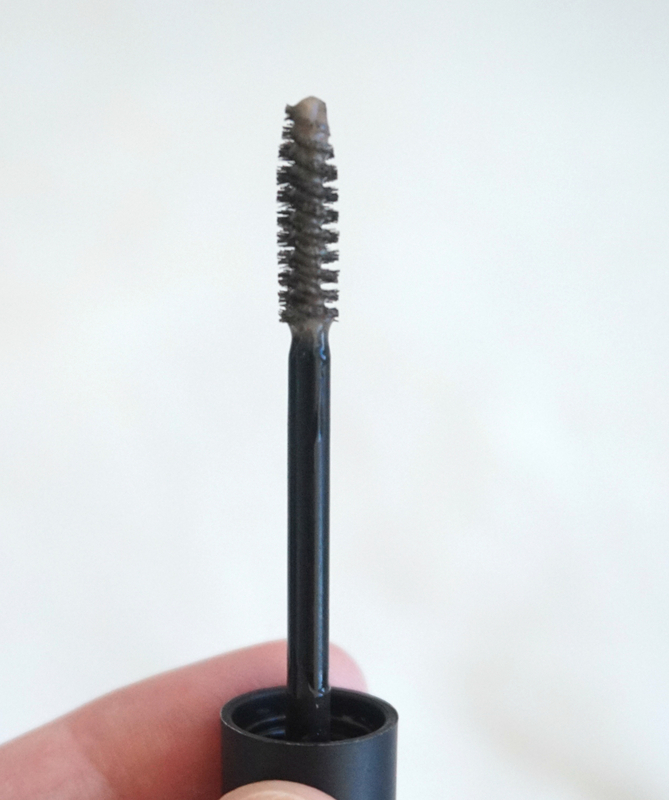 I usually have two issues with most brow gels: the brush doesn’t grip onto my brow hairs enough to really brush them through and there is too much product on the brush when you take it out of the tube (no one wants globs of gel on their brows). I guess the NUDESTIX team feels my pain because this is the best eyebrow gel I’ve used. The brush really grips onto the hairs and combs through my brows perfectly, distributing just the right amount of product. I also want to point out something about the colour of the Stylus. I am a brunette with brown brows, so my natural instinct would be to use the Brown Stylus. That being said, I got sent the Dirty Blonde shade and it actually works really well! The lighter shade allows me completely fill in my brows with almost undetectable hair-like stokes - you would never know I actually filled them in. I definitely recommend trying this out if you're a brunette but it may not work out if your brows are quite thin/sparse (I just have a few smaller spots to fill in). I will also be heading over to Sephora to pick up the Brown shade - just to test it out as well. Last but not least, there is also the NUDESTIX Brow Wax. This is my go-to product when I’m in a huge rush to get out the door. This soft, waxy pencil can just be draw on the brows and brushed through with a spoolie or even your finger. This product instantly makes my eyebrows look thicker and takes care of any stray hairs. Sometimes I even use this with the NUDESTIX Eyebrow Stylus for even more precise, full and natural looking eyebrows. All three NUDESTIX products are waterproof and last all day without any smudging or budging. I can't recommend these products enough - I am absolutely loving the NUDESTIX brow products! 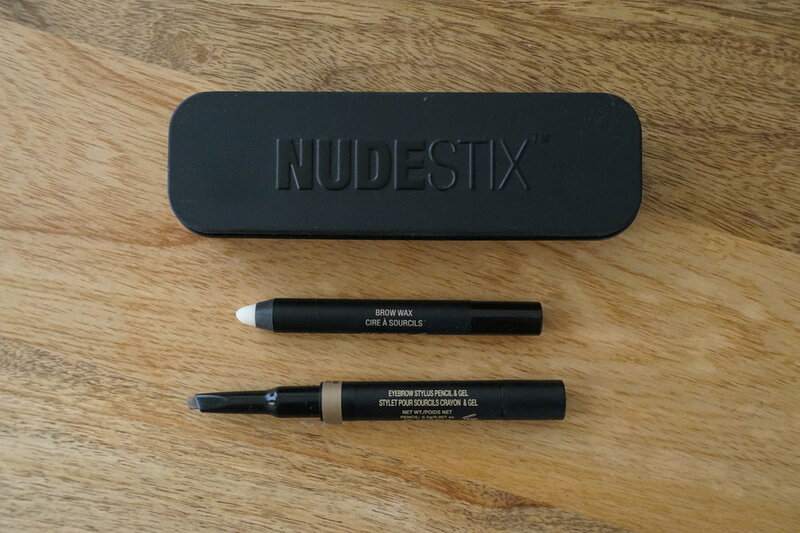 * Product samples from NUDESTIX Inc.